And it’s a wrap! 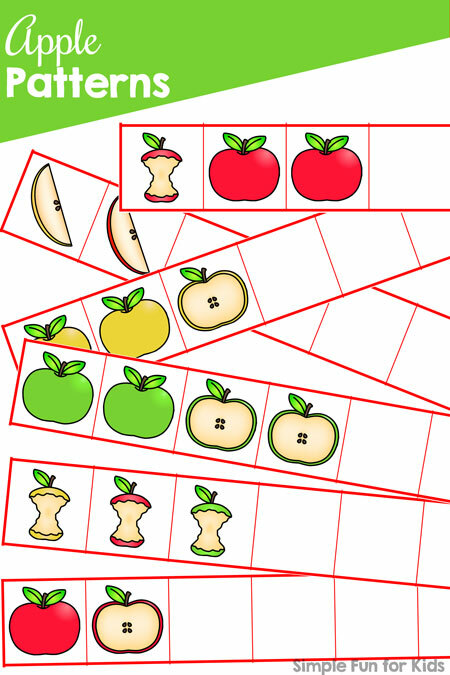 Today is day 7 of the 7 Days of Apple Printables for Kids with a cut and paste Apple Patterns activity. The printable includes two pages of 11 different apple images that can be cut out and pasted to make patterns. There’s one page of starting patterns you can use as a jumping off point and one blank page that only has the grid to enable you to make your own patterns. If you want, you can cut the individual strips apart before giving the printable to your kids, but it’s not necessary and the printable works well with no prep. 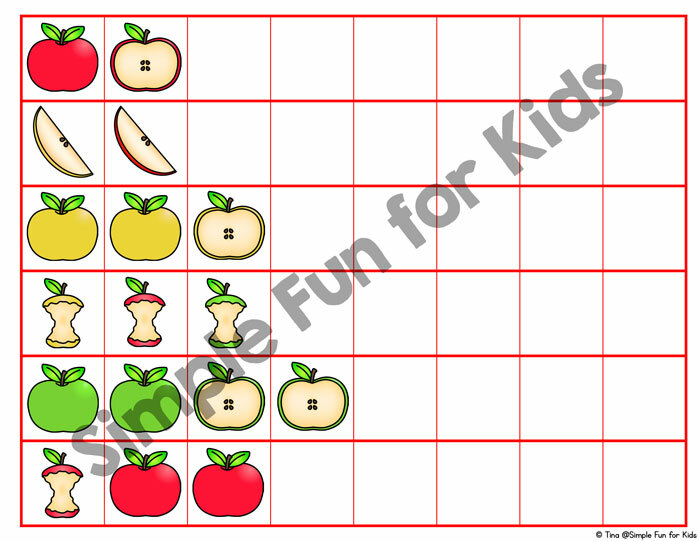 Download your Apple Patterns printable! 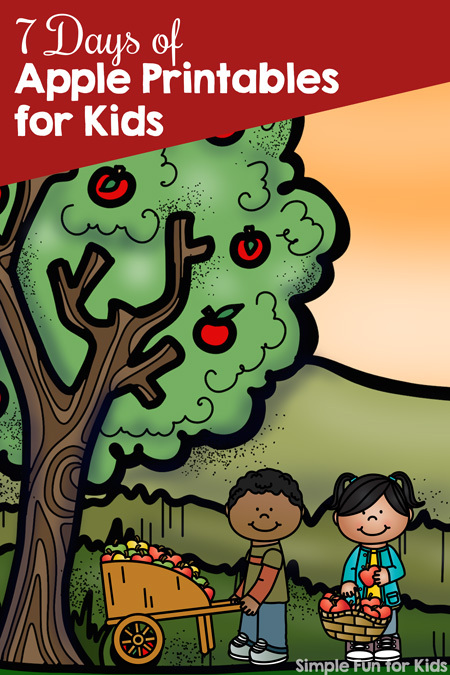 My A is for Apple Dot Marker Coloring Pages use the same set.